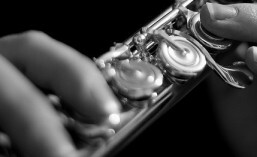 Hear Prokofiev’s Wonderful Flute Sonata Played Live! I hope you will be able to join me and my fellow chamber music enthusiasts for a wonderful afternoon of music for voice and a variety of instrumental combinations. I will be playing the Prokofiev Flute Sonata, a work written in Russia during the darkest days of World War II, yet one which is full of rhythmic vitality, lyrical expression, optimism and just great tunes! Week Ten is the final week of Term One and so this is the last Student of the Week post. I am very happy to award Student of the Week to 10 year old, Charlotte, who started lessons at Top Notes Music Studio in November last year, after completing her Grade Two exam with another teacher. Charlotte had two major achievements in this last week of term. Firstly, she succeeded in playing her chromatic scale perfectly first go in her lesson, not once, but twice, and with two different articulations! Charlotte has been working hard on this difficult scale all term. And then she surprised me again! I had asked Charlotte to pick a new piece to learn from her Grade Three exam book. Not only had she learnt the entire piece perfectly, but she had researched it on the inter net, listened to a piano version of the same piece (which helped her learn the difficult samba rhythm) and was able to talk very confidently about what the title, Tequila Sunrise, meant and the imagery she could associate with people drinking Tequila Sunrises and dancing the samba! In learning music we learn so much more than just the dots on the page, or what to do with our fingers on the instrument! Unfortunately Charlotte is too young to enjoy a Tequila Sunrise yet, so she will have to make do with the musical version which we are going to have some fun with together. Well done Charlotte! Great work! I am pleased to announce Student of the Week for Week Three is Pravin Chanmugam. 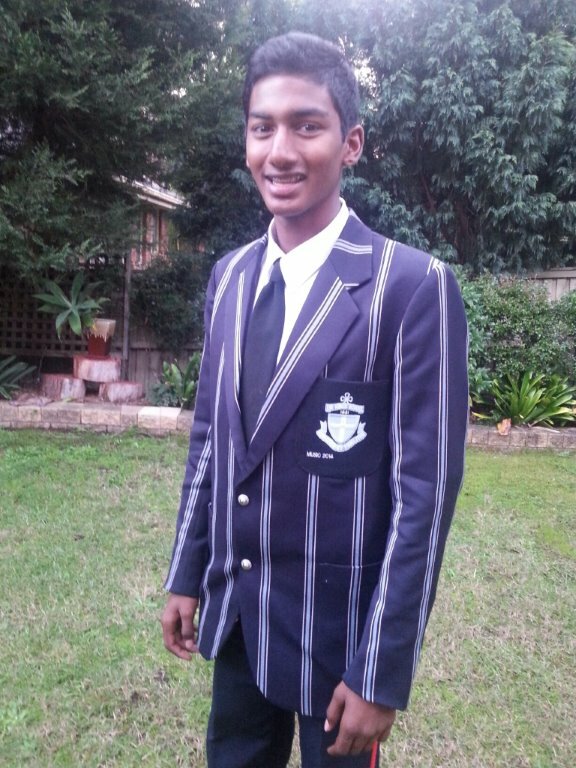 Pravin is in Year 10 at The King’s School, and is pictured here in his Full Colours blazer which he won the right to wear in 2014 for his achievements in Music. In the midst of a hectic schedule preparing for the School Musical, compulsory Saturday cricket, School Cadets and flute and theory lessons, Pravin managed to find time this week to learn a whole Sonata, four pages long, for his next exam. Pravin passed his Grade 8 exam with Honours at the end of 2015 and is now working for the Certificate of Performance in June. Pravin is an excellent example of that old saying, “If you want something done, ask a busy person”! He truly amazes me at how much he packs into his weeks, and how well he achieves at everything he does. Keep up the great work, Pravin! !